Plants after one week on the automatic drip irrigation system. Drippers are placed in each pot. Did you know that a drip irrigation system can save between 15 to 55 percent in water usage? I didn't. 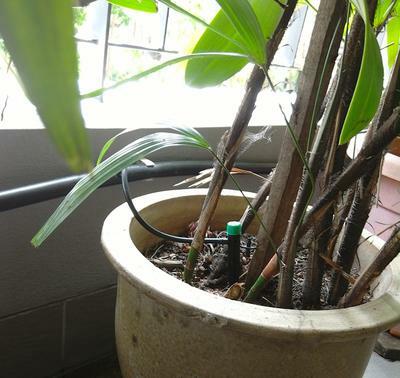 I built a drip irrigation system recently for my mother's balcony garden. My main impetus was to automate the watering process as she would be spending long periods away from home. The water conservation and time saved in watering plants was an added bonus. I have included some picture from my blog post below. Thanks for the information and photos Saunthra. Your system looks useful for the hot weather you undoubtedly get where you and your mother live. You may have put in a link to your blog, but if so, my forum system automatically strips out links from visitors. Your blog could be useful for gardeners here, so if you want to send me the link via my website's "Contact Us" page, then I can put it in here. Thank you for the feature Megan. We are having a heatwave here and it's uncharacteristically very hot weather. The irrigation is holding up well. Being able to do other things was one of the main reasons for installing it. We were going to be away forlong periods of time. 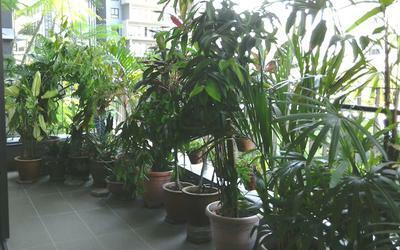 And with the current heatwave, the plants would not have survived with no water.